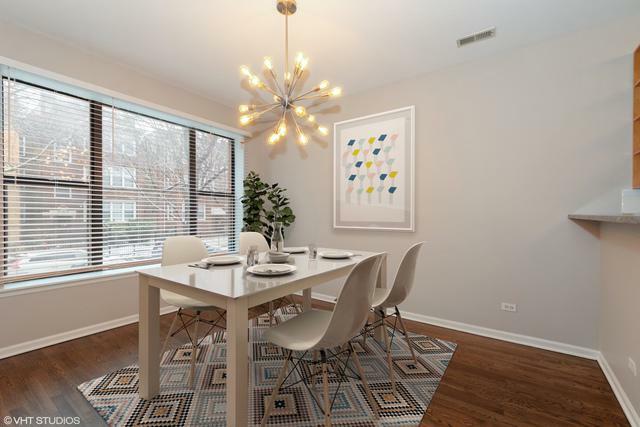 Beautiful 1st fl condo conversion with unique layout in quiet Ravenswood Gardens. 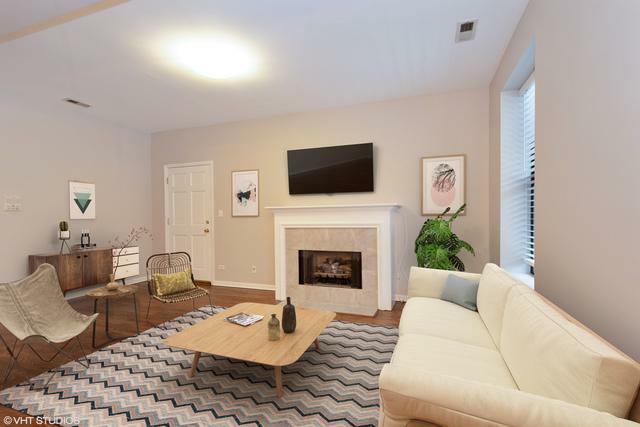 Newly refinished hardwood floors throughout. 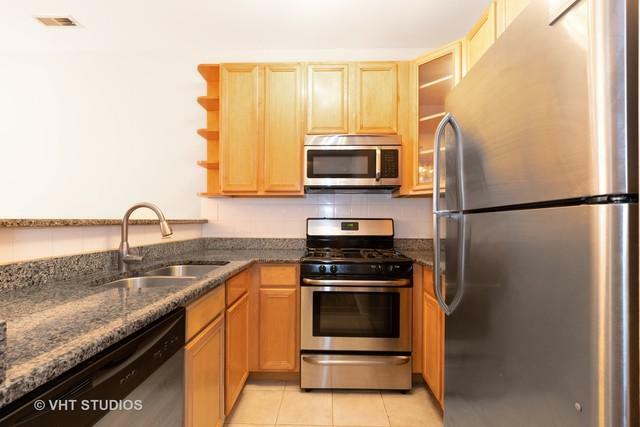 Kitchen includes stainless appliance and granite countertops, opens to lovely dining area with picture window overlooking tree lined street. Walk out to private, enclosed brick balcony from dining room. Enjoy 2 more outdoor spaces including a small garden deck off of master bedroom, perfect for herb gardens. Gas fireplace, GFA heat/AC, in unit washer/dryer. Good closet space and lots of storage in the basement. 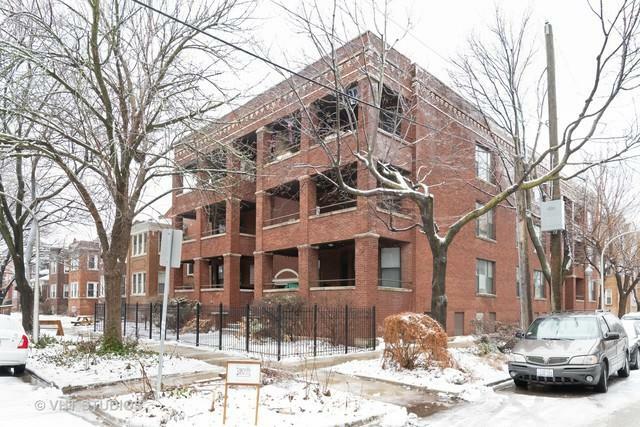 Easy street parking, excellent location ~ less than a 5 minute walk from the heart of Lincoln Square and CTA/Brown line. 3 blocks to Rockwell Brown line.